This title has been approved by AQA for use with the AS and A-level AQA Computer Science specifications. 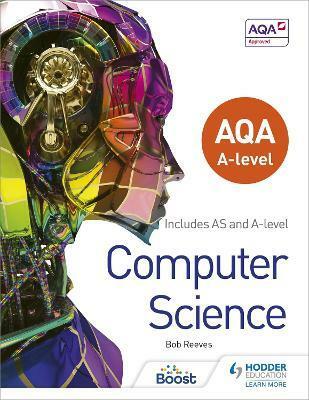 AQA A-level Computer Science gives students the chance to think creatively and progress through the AQA AS and A-level Computer Science specifications. Detailed coverage of the specifications will enrich understanding of the fundamental principles of computing, whilst a range of activities help to develop the programming skills and computational thinking skills at A-level and beyond. - Enables students to build a thorough understanding of the fundamental principles in the AQA AS and A-Level Computer Science specifications, with detailed coverage of programming, algorithms, data structures and representation, systems, databases and networks, uses and consequences. - Helps to tackle the various demands of the course confidently, with advice and support for programming and theoretical assessments and the problem-solving or investigative project at A-level. - Develops the programming and computational thinking skills for A-level and beyond - frequent coding and question practice will help students apply their knowledge of the principles of computer science, and design, program and evaluate problem-solving computer systems. Bob Reeves is an experienced teacher with examining experience, and well-respected author of resources for Computing and ICT across the curriculum.